The Niskayuna Community Foundation 15th Anniversary Day of Service presented by Breault & McGovern, DDS, will bring the community together for a day of service and celebration on Sat. Sept. 26. To commemorate its 15th anniversary, the Niskayuna Community Foundation (NCF) organized 15 community projects for not-for-profit organizations that serve Niskayuna residents, registered over 200 volunteers to help, and secured corporate sponsors to provide budgets for supplies and teams of volunteers for projects. For more details, see media advisory. 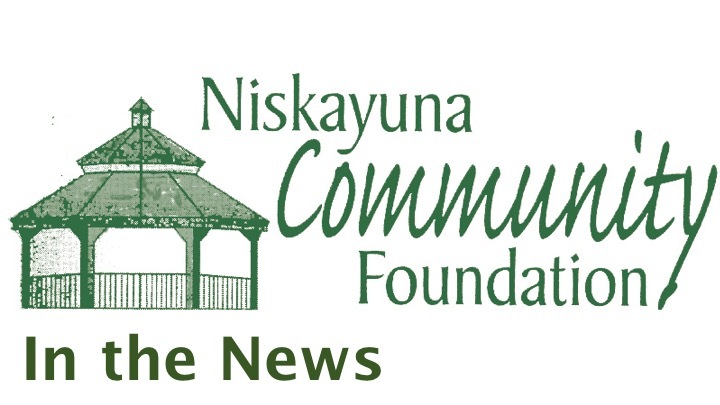 On Sat., Sept. 26, 2015, the Niskayuna Community Foundation (NCF) will commemorate its 15th Anniversary by bringing the community together for a day of service and celebration. In one productive day, volunteers will complete 15 service projects to benefit not-for-profit organizations that serve Niskayuna and Schenectady County. Volunteers of all ages and abilities are welcome to register for the Niskayuna Community Foundation 15th Anniversary Day of Service at niskayunacf.org. After a day of fulfilling work, the community will come back together in celebration for the Niskayuna Community Foundation 15th Anniversary Day of Service Evening Celebration at LT’s Grill. For more information, see press release. 30 GE volunteers will clean and refresh the Girls Inc. playground on Wed. Sept. 2 from 3:00 – 5:00 p.m., kicking off The Niskayuna Community Foundation 15th Anniversary Day of Service in advance of the full event scheduled for Sat. Sept. 26. For more details, see media advisory. “Day of Service.” Your Niskayuna, 2-8 Oct. 2-8 2015: 10. “Service Day.” Daily Gazette, 27 Sept. 2015: C6. Isenhart, R. “Girls Inc. spruce-up prelude to day of service.” The Daily Gazette, 3 Sept. 2015: A1. Print.